The table above is an amended version of something I came across a few months ago circulated by a group of academics without credits, so my apologies to the original author(s), whoever they may be. The one 6th from bottom is particularly relevant today. (Viz Andrea Leadsom!). 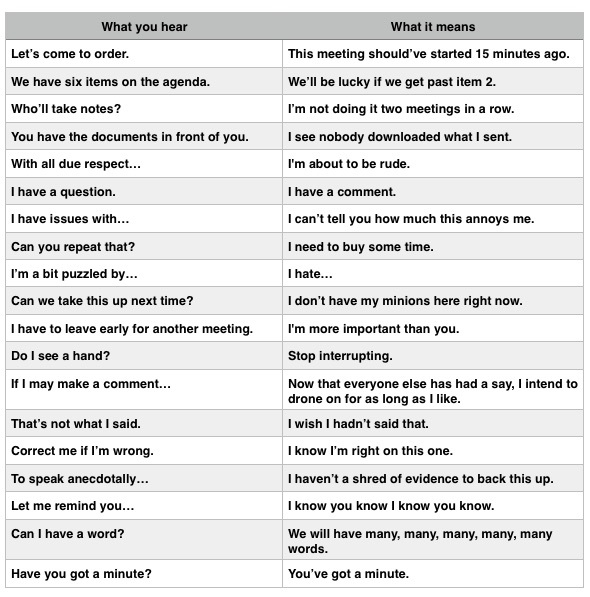 Very good round-up of meeting-speak.